A few months ago I decided that it was time for a change, it was time that I did something for myself. It was time to break the cycle and do something that makes me happy. Everyday I would wake up, turn on my laptop and stare hopelessly at a pair of shoes that I would give anything to be able to call mine. A pair of shoes that symbolised a stage in my life that I desperately wanted to reach. 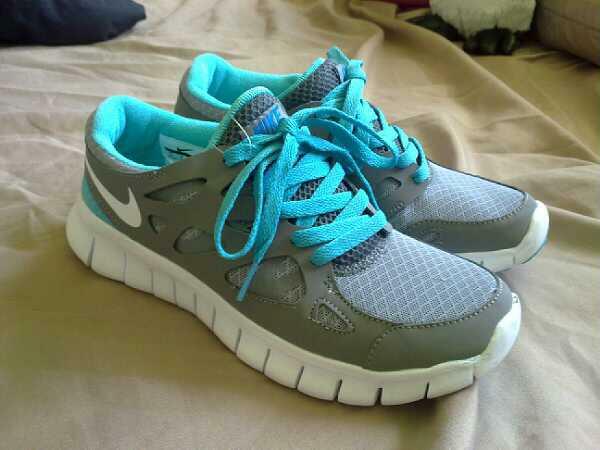 A pair of shoes that more than anything, made me hate the fact that I still couldn’t run. Then eventually, once I could no longer handle the pain of wanting something so far out of my reach, I would turn off the laptop and walk away feeling a million times worse about my recovery than I had before. Eventually I decided to let go of the pressure that I had been putting on myself to be as fit as I had been and I finally convinced myself to let go of the expectations I had to be running again. I realised that it was okay to be exactly where I was and that it was okay that I wasn’t as fit as I had been, because my body had been through a lot. I realised that maybe I wouldn’t be running next week or even next month and that I needed to accept that, because it was okay to walk instead. I realised that it was okay to take it one day at a time and that it was okay to take baby steps. I realised that when my body was strong enough and healthy enough for me to start running again that it would tell me and I realised that there was no point in blaming myself for something that was so far out of my control. I realised that not having a pair of shoes, just because I wasn’t physically strong enough to run yet, was pointless. It wasn’t making me happy and it was in no way fair on myself. There was no reason that for right now, I couldn’t walk instead of run. I could walk day after day, until finally my body became strong enough to run. That was something that would make me happy; that’s something that would make me smile. So that’s exactly what I did. I searched for hours and hours on end just to find the perfect pair and when I finally did, I ordered them without even the slightest hesitation. Then today, after months of waiting and countless mornings checking the mail, they finally arrived. So today I walked.